It’s a joy to be walking the coastal path in May. 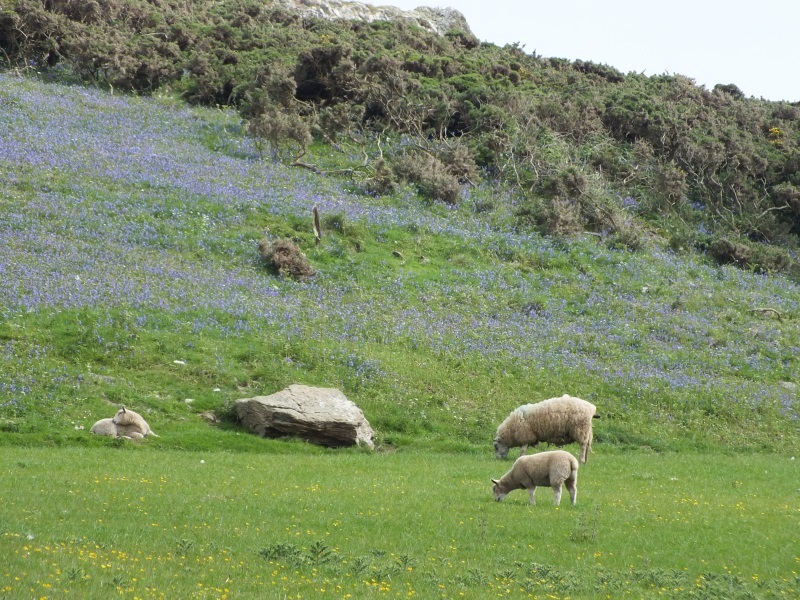 Our sheep are grazing whilst walking among the Bluebells. The Bluebells look just like a carpet in some places. Sea campion, thrift, pinks and the foxgloves are just starting to flower.